Used shipping containers in Brighton converted into temporary site office complex. 17 used shipping containers were supplied in Brighton to create this temporary building site complex. 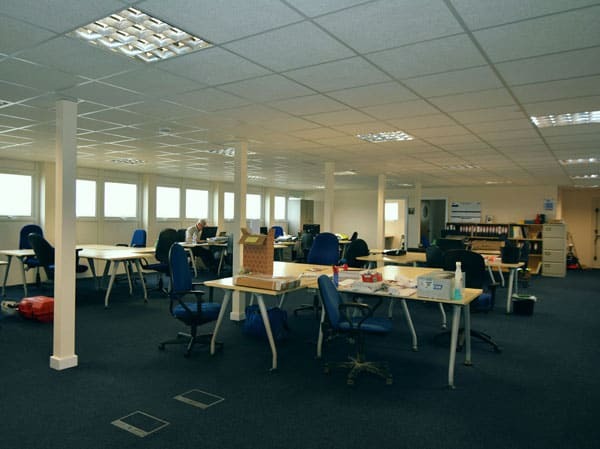 The container conversion which overlooks Brighton Marina features office space, canteen, toilets and 40ft store areas. 17 used shipping containers have been modified to create this temporary construction site complex in Brighton Marina. Located on the South West coast of England, Brighton Marina has been in development since 1971 and work is still continuing to help make this waterfront area a desirable place to live, work and play. The latest building work taking place in the marina is the construction of waterfront apartments and car park. 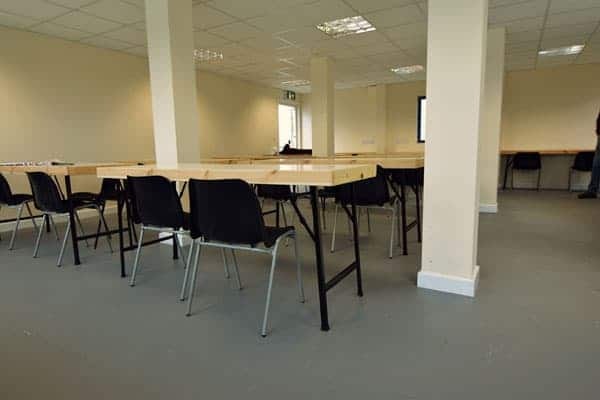 To provide a working environment for the construction staff a modular building featuring site office, canteen, toilets and store areas has been built using second hand shipping containers. 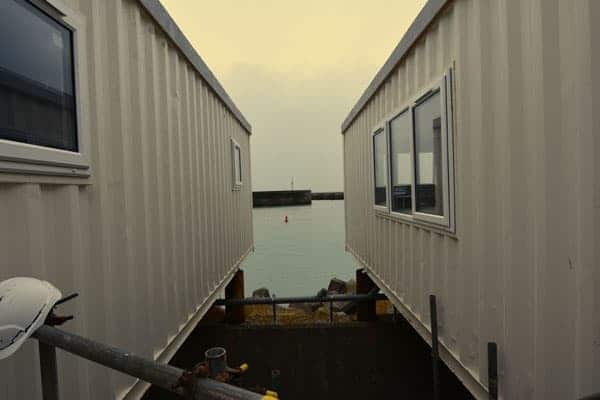 The containers supplied by Adaptainer had been in use at other sites previously in the UK for modular building purposes before being taken apart, moved and re-assembled in Brighton. Recycled windows and doors were used in the Brighton Marina conversion too. Have a container conversion idea? We can convert anywhere in the UK. These eco-friendly credentials are strengthened further by the fact that many aspects of the conversion feature other recycled materials, including windows and doors. 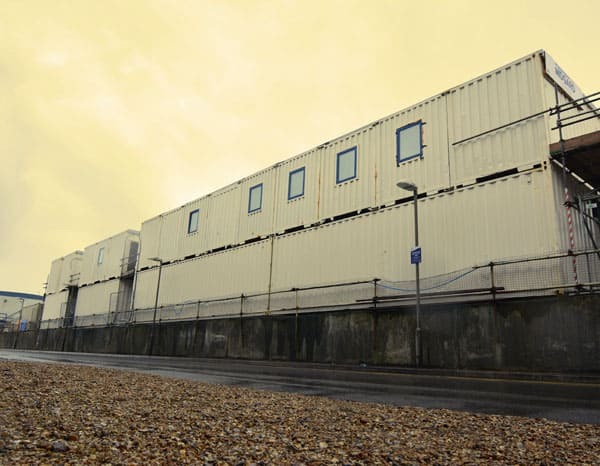 Once work in Brighton is complete the containers are expected to be moved and re-used at other sites in the UK, which highlights the flexibility that modular buildings offer. As well as container conversion services we offer new and used shipping containers for sale or hire in Brighton, and rest of the UK via our nationwide depot network. Learn more about Adaptainer shipping container sales, hire and conversion.